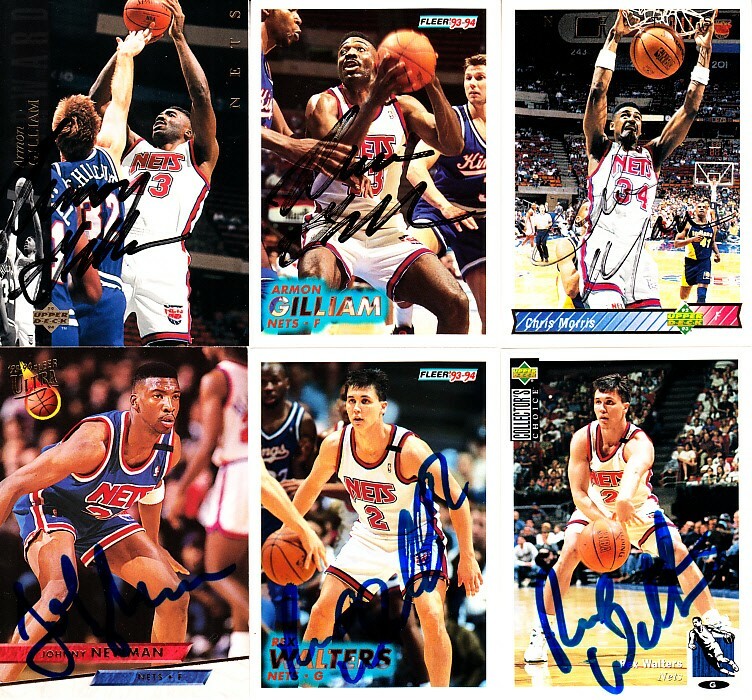 13 New Jersey Nets autographed 1990s basketball cards: Butch Beard, Benoit Benjamin (2 different), P.J. 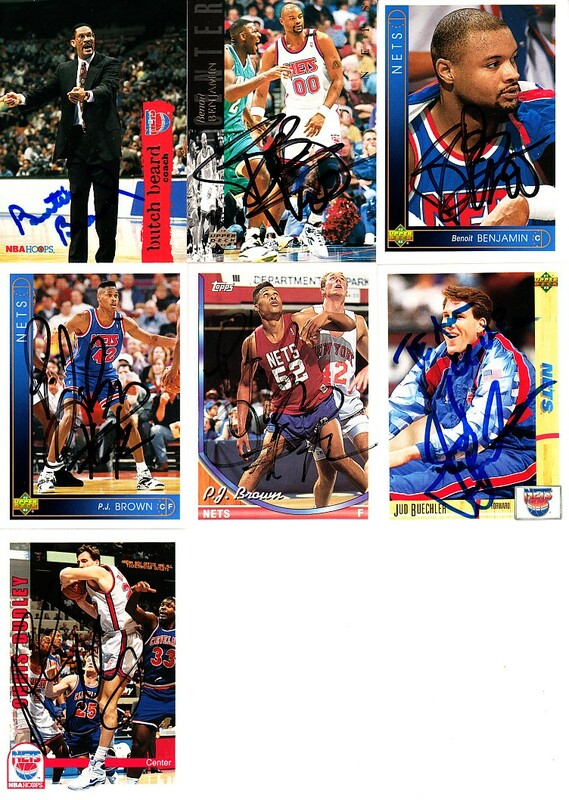 Brown (2 different), Jud Buechler, Chris Dudley, Armon Gilliam (2 different), Chris Morris, Johnny Newman and Rex Walters (2 different). Obtained in person. With certificate of authenticity from AutographsForSale.com. ONLY ONE LOT AVAILABLE FOR SALE.